The Executive Secretary of the Nigeria Extractive Industries Transparency Initiative (NEITI), Mr. Waziri Adio, has commended the stakeholders in the country’s oil, gas and mining sectors for their commitment and compliance to the implementation of the principles of the global EITI process, which resulted in the ranking of Nigeria as making “Satisfactory Progress”. A statement by Dr. Orji Ogbonnaya Orji, the Director of Communications of NEITI, said that Mr. Adio, expressed delight that the cooperation extended to NEITI by government agencies like the Ministry of Petroleum Resources, the Nigerian National Petroleum Corporation (NNPC), the central bank and the Ministry of Mines and Steel Development among others were phenomenal. He also expressed deep appreciation to the companies that operate in the extractive sector for their tremendous support during the validation. 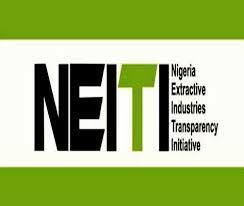 “This highest ranking by the EITI is a major milestone for Nigeria and the invaluable roles of relevant MDAs, Companies and CSOs working to push for reforms in the sector are hereby duly acknowledged and deeply appreciated by NEITI,” he said. According to him, the present wave of reforms in Nigeria’s extractive sector made possible by the determination and commitment of its stakeholders to see that change happens in a sector that is considered for now to be the life wire and mainstay of the economy was one of the determining factors towards the ranking of Nigeria. He reaffirmed the commitment of NEITI to continue to work closely with its stakeholders to push for reforms and enthrone transparency and accountability in the extractive sector in Nigeria. “On our part, we are committed to keeping Nigeria in this leadership position in the EITI community, which our country voluntarily joined in 2003 and we will continue to crave your support to us as an organisation and to the full actualisation of the NEITI mandate as enshrined in the NEITI Act 2007,” Adio said. It will be recalled that the EITI on 27 February 2019 adjudged Nigeria to have made “Satisfactory Progress” in the implementation of all EITI requirements. Nigeria is the first Anglophone African country and one of seven countries among the 53 EITI implementing countries to have attained the “Satisfactory Progress” status so far. Validation is a quality assurance mechanism put in place by the EITI to measure the level of progress and compliance to its requirements by member countries using the same standard. It is conducted every three years by the EITI international secretariat based in Oslo.